ECR Minerals plc is pleased to announce that the exploration permit (the “EP”) pertaining to the Itogon gold-silver project in the Philippines held by Cordillera Tiger Gold Resources Inc. (“Cordillera Tiger”) has been renewed for a period of two years from 1 October 2013. ECR has the right to earn a 50% interest in the Itogon project. Although the EP renewal has been issued dated 1 October 2013, due to Philippine government procedures the renewal was not received by Cordillera Tiger until 21 November 2013. The EP renewal has been issued subject to the submission by Cordillera Tiger of certain documents to the Philippine Mines & Geosciences Bureau within 15 days of the date the renewal was received. These documents relate primarily to the compliance of Cordillera Tiger with its obligations under the first two year term of the EP from 15 February 2011, and to Cordillera Tiger’s financial capability. Submission of all required documents by Cordillera Tiger will satisfy the only remaining condition for the commencement of ECR’s earn-in to the Itogon project. A further announcement will be made when this has occurred. “After what has seemed like a long wait I am pleased to report that ECR will shortly be able to commence its earn-in to this very promising gold project in the Philippines. The renewed EP is valid for two years from 1 October 2013 and is renewable again for up to two further two year terms following the expiry of the present term in 2015. ECR has the exclusive right and option to earn a 50% interest in Cordillera Tiger and thereby in the Itogon project by obtaining, for Cordillera Tiger, a mining licence in respect of the project within 5 years of the commencement of the earn-in and by making certain staged payments to Cordillera Tiger’s parent company Tiger International Resources Inc. (“Tiger”). Stephen Clayson, Chief Executive Office of ECR, has been appointed President & Chief Executive Officer of Cordillera Tiger in order to facilitate operations at the Itogon project following the commencement of the earn-in. The exploration target in the Itogon project area is a steeply dipping wide epithermal style gold-silver system. At least five gold and silver bearing quartz veins have been mapped and are indicated to be continuous (especially the main vein) or semi continuous and steeply dipping (near vertical). The five sub parallel vein sets are recognised as occurring within a zone up to 250m wide and up to 600m long. There is an extensive database of previous work on the deposit, including the results of drilling, metallurgical testwork and surface sampling. The Philippines is a low cost operating environment with skilled labour and mining services readily available. A technical report on the Itogon project filed by Tiger, dated 28 May 2011 and downloadable from the Canadian securities database SEDAR.com stated an overall resource target for the project “of the order of 0.5 to 1 million ounces of gold”. 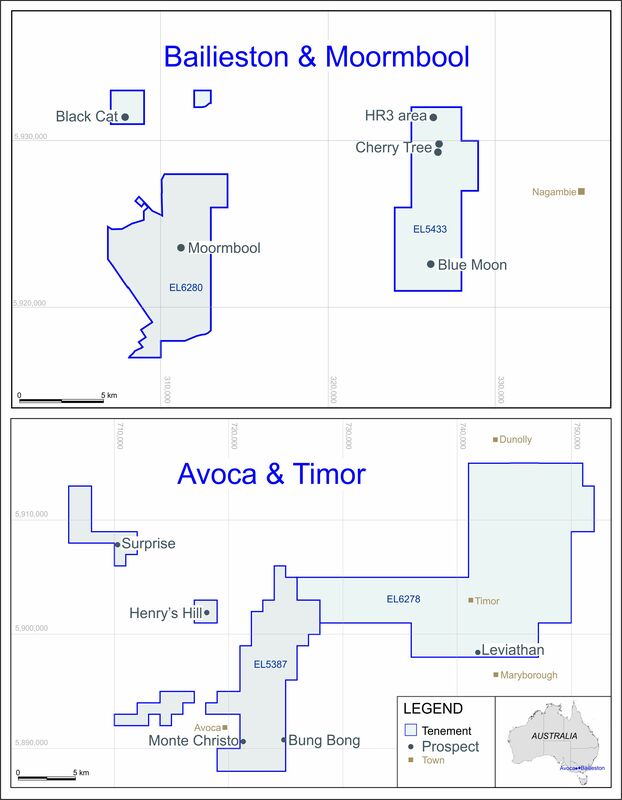 However, this is a statement of opinion rather than a resource estimate and should be considered highly speculative and subject to the results of future exploration. A more detailed summary of the attributes of the Itogon project and ECR’s rights in relation thereto is provided in the Company’s announcement dated 29 April 2013.